This is an old chestnut that in typical Leftist style ignores the main issue. Immigration overall has always be known as a positive. The receiving country gets new workers without the expense of bringing them up from babyhood. The big issue, however, is WHICH migrants do we take in. Most countries have categories of migrants that they take or do not take. Requiring at least a High School graduation in an intending migrant is a common stipulation. So categorization of migrants is nothing new. The problem arises when normal filters are bypassed for some reason -- usually for humanitarian reasons. And what happens when those filters are bypassed strongly validates the wisdom of the filters. Australia bypasses most of its filters to admit refugees. And refugees are rarely like other migrants. Where selected migrants soon get a job and put little strain on the social security system, refugees tend to be heavily welfare dependant. Additionally, black and Muslim refugees are more violent. Africans everywhere are very prone to crime and violence and Muslim refugees subscribe to a religion that both forbids assimilation and encourages "jihad" against the host nation. So the article below is a red herring. the issue is not WHETHER migration but WHICH migrants. Readers are supposed to infer that ALL migrants are beneficial, which is not at all the case. But the research, published by Treasury and the Department of Home Affairs, has come under fire from some population experts who believe it glosses over the link between migration and higher home prices, congestion, and strain on the environment. The landmark study found in total, permanent skilled migrants deliver the federal government a profit of $6.9 billion over their lifetimes, temporary skilled migrants a profit of $3.9 billion, and family stream migrants $1.6 billion. Treasurer Scott Morrison and Home Affairs Minister Peter Dutton have had the report for some time. Fairfax Media unsuccessfully tried to get a copy under freedom of information rules late last year. Although the report was prepared by officials from Treasury and Home Affairs, it was Mr Morrison who decided to release it on Tuesday amid debate inside the Coalition over whether Australia's permanent and temporary migration program should be cut. The government is expected to maintain migration of 190,000 per year in the May budget, despite the internal push for a reduction. Australian National University demographer Liz Allen said the report makes it "very, very clear that migrants are not to blame" for infrastructure failures. "Migrants make a net contribution to the Australian economy," she said. "If we are concerned about the failings of infrastructure such as those in the road network and rail network and housing, the issue is not migrants. The issue is the way that infrastructure funding and policy have failed to keep up with what is necessary, even to meet the population growth we would have had without migrants." While concerns were often expressed about population-induced infrastructure pressure in cities where immigrants settled, the Treasury and Home Affairs study said there were benefits to population growth occurring in capital cities rather than regions. It said a higher population in the same geographical space increased the number of people that would benefit from a project, and could make a previously unprofitable infrastructure project viable. University of Queensland emeritus professor Martin Bell said the report presented the “conventional conservative Treasury view,” focusing on the economic benefits of growth while paying less attention to the potentially negative effects. “It’s important to give attention to the negative impacts as well, and the public perceptions of people in their 20s and 30s who are attempting to bid for houses,” he said. Scott Morrison has shut down suggestions from Tony Abbott, that the government should lower its immigration levels. Mr Morrison on Tuesday said Australia’s natural population increase of around 150,000 a year had been falling as a proportion of the total. Permanent immigration was little changed. It was the rise in temporary migration that had fuelled population growth. “You’ve got to understand what's driving the population pressures, but in addition to that you have to plan for the growth, which is what our budget is doing," he said. The report found humanitarian migrants cost the budget $2.7 billion, with one third the result of resettlement in the first five years, including the cost of education, and the other two thirds the effect on the budget of earnings and tax too low to cover the cost of the services they consume. Around 11 per cent of working age migrants earn no income, compared to just over 7 per cent of the working age population. The Treasury said the higher figure most likely reflects the time it takes to acclimatise to a new country and labour market. The income of migrants grows after additional time in Australia, with substantial improvements over the first three years of roughly four times the average annual wage increase. To advance economically in Australia, you are often told to get lots of education. And it's true that the higher you go educationally, the better paid you will usually be. But is it actually education at work? The great predictor of educational success is IQ -- so those who go furthest through the educational system will be those with the highest IQ. So it is most probably your IQ that gets you that good job. Education is just an IQ marker that anyone can read. As a result of that, some thinkers say that the class system is a series of IQ levels. What we see as Upper class and what we see as lower class will be effects of IQ, and not much more. That is why social mobility is so poor. IQ is highly hereditary so if you are born into a poor family you are unlikely to have the IQ assets to rise above your parent's station. A curious example of class characteristics in fact being IQ characteristics is from the findings about breast feeding. Affluent mothers make quite a point of breast feeding these days. To put your baby on the bottle will get you scorned and seen as uncaring, ignorant and very low class. Yet We read, for instance, that "The mother's IQ was more highly predictive of breastfeeding status than were her race, education, age, poverty status, smoking, the home environment, or the child's birth weight or birth order". So it's all IQ. So your eventual place on the socio-economic scale will be where your level of IQ places you, with education being a marker, not a cause. And your IQ is essentially unalterable. So rising up socially will only happen if you are one of the unusual people who come from a humble background but are lucky enough to be born with a high IQ. Your IQ will place you in the right social rank for your level of ability. Social class in Australia is a topic that often goes undiscussed — but if the response to our series on class is anything to go by, some of you are ready to start talking about it. Some people got in touch to say they believe the archetype of Australia as the lucky country, where opportunity abounds, rings as true as ever. But others told us the idea that hard work and application are the only barriers to social mobility is laughable. What was constant is that everyone had an opinion. The ABC's recent class quiz prompted a number of curious results. More than a few people were surprised to find their tastes, according to data compiled as part of the detailed Australian Cultural Fields project, aligned them with middle or upper-class woman aged between 40-59. Taste — whether you'd rather see a pub band than go to opera, for instance — only explains so much of course, and there are many other factors that help explain where we each sit within Australia's complex and confusing class structure. Sue, a public servant from Darwin, describes herself as a "late baby boomer". She once lived in Sydney, but moved to the Northern Territory with her husband for his job in construction work. "I'm definitely a middle-class person," she said. "Class in the NT looks much different to what it would in New South Wales. In terms of access to housing, education, employment, health outcomes — it keeps class very much at the forefront of your mind." Julie wrote in to tell us about her family full of "shop-stewards, miners, railway workers, shipbuilders and plumbers". "All politically aware, self-educated and proud of their working-class community solidarity," she said. "My grandfather would say to explain wealth and class: 'Remember no-one is better than anyone else, it is just some people are better off'." A running theme through the conversations was the notion of education as being key to class mobility. Greg, from Melbourne, comes from a working-class background. "Education was the 'mobility enabler' for me. A beneficiary of Whitlam's education reforms in the 1970s, access to university was merit-based. It opened the door to me," he said. Brisbane-based policy officer Chris believes his upbringing and education provided him with a platform that's not necessarily attainable for all Australians. "I have relatively secure professional work and I'm paid reasonably well, I'm aware of my privileged position in the social hierarchy," he said. "It was impressed on me that I should go to university, that I should improve myself intellectually, financially." But education isn't always easily accessible. Alice comes from a modest background and decided to go to university after achieving a UAI of 97.7. Throughout her time at university, she has struggled to make ends meet, despite working multiple jobs. "I'm safe for now. But should I choose to embark upon a Master's component, and my benefits are taken away … who knows where I'll end up. As an intelligent woman in her mid-thirties, I shudder to think that my future may very well lie in the streets as a homeless person, making me yet another uncomfortable statistic for everyone else to gawk at." Self-promoted ethics "expert" Simon Longstaff below "feels" that there is great heartburn among many Australians about inequality in the country. People feel very alienated from the society in which they live. I talk with everyday Australians quite a lot and have yet to hear a complaint about inequality. I think Longstaff is just projecting his own chronic Leftist anger onto others. In my thorough 1982 study of Alienation in Australia, I found that on average Australians were slightly below the midpoint on Alienation. There was some alienation but it was not high overall. And why should there be equality? There IS no objective equality in Australia, there never has been such equality in Australia and utopian experiments in equality emanating from Australia have all been spectacular flops. Given that circumstance Dr Longstaff should surely offer an argument about why there SHOULD be equality. He does no such thing. Given the twisted mazes of moral philosophy I don't blame him but it leaves his argument entirely up in the air. He just expects us to agree with his inchoate values. He points out that in some contrived experimental situations people are uncomfortable with inequality. And that may be true. But moving from an 'IS' to an "ought" is a totally unsustainable doctrine. Many Yemenis are at the moment being starved to death. Do we therefore argue that Yemenis SHOULD be starved to death? So what is this "fundamental" equality that the man with the long staff talks about? It is undefined and therefore unexaminable. He is however talking about something that is a sort of tradition in Australia. Australians are often said to have "egalitarian" values. "Jack is as good as his master" is the usual formulation of it. And Australians do tend to feel that Australia is mostly pretty egalitarian. So how do we deconstruct that popular belief? I think it is talk about dignity. I think that we Australians tend to treat everyone among us with equal dignity. We don't treat Jack's master any more deferentially than we treat Jack. And I think Australians have largely achieved that in practice. One of the most significant findings to emerge from the work of behavioural economists is that human beings would rather go without than be treated unfairly. This was discovered in a series of experiments involving two people — one of whom had $100 and the other who had nothing. The person with the money was told they must offer an amount to the other — with each keeping the amount agreed. Older economic theory assumes the person with nothing should be happy to receive as little as one dollar. After all, they are then better off than they would be with nothing. Australia has a class system, and it has real consequences in people's lives. Explore the full series. However, the theory seemed to bear little or no relationship to practice. It turned out that most people would rather have nothing than accept anything less than about $40. That is, people expected to receive a fair — rather than equal — share of the money. What might explain this behaviour which seems, on the face of it, not to be rational? In my opinion, the best explanation is that those insisting on fairness did so because they could see no fundamental basis for distinguishing between themselves and the lucky person who had the $100 in hand. In other words, there is a presumption that — at the most basic level — people are equal in intrinsic dignity. This idea is deeply written into the ethical codes of most societies. Whether arising out of religious beliefs (e.g. that all persons are made in the image of God) or from the work of philosophers like Immanuel Kant (all persons belong to the "kingdom of ends"), the idea runs deep that human beings possess intrinsic dignity — that can neither be earned nor diminished. It is this concept of "respect for persons" that lies behind the prohibition of slavery — or any other practice that reduces a human being to the status of a mere tool to be exploited by others. Yet, in recent years, there has been a growing sense of discontent — and this is despite a general increase in affluence across the developed world. It used to be that the feeling of being marginalised was experienced by those who were literally on the margins of society. The most egregious cases of deprivation, in Australia, have fallen on a significant number of Indigenous Australians — precisely because of a failure to acknowledge their fundamental equality. However, that unsettling feeling has been spreading. My sense is that a growing number of Australians feel that the mythic ideal of Australia as a nation of equals is losing all credibility. They are angry. They are disappointed. They are vengeful. Above all, they are fearful that the nation's underlying "social compact" could have been so carelessly broken — and that the presumption in favour of basic equality has been replaced by indifference to a widening gap between: city and country, "elites" and ordinary folk, the "haves" and "have nots", the "political class" … and just about everyone else. In essence, a very large number of people have come to feel they are just cogs in a machine — counting for nothing more than their capacity to work and vote. They feel they serve a system that is indifferent to their hopes and interests — and that will exploit and discard them at will. They feel robbed of their intrinsic dignity — and the basic equality that is their due. The Committee for Economic Development of Australia's (CEDA) latest research report, How unequal? Insights on inequality, turns the spotlight on this dimension of contemporary life. It provides a factual account of the extent of the problem — along with analysis and recommendations for addressing the underlying issues. My contribution to the report has been to provide a philosophical underpinning to the discussion of inequality. But beyond this, I have tried to show how the current situation is at odds with the intentions of philosophers like Adam Smith, who established the intellectual foundations for market economics. Economics as a discipline — and the market as a tool — were originally conceived of as means for increasing the stock of common good. Smith had no time for a kind of dog-eat-dog, let-it-rip economy. He championed a free market that depended on the maintenance of solid ethical foundations. He denied the legitimacy of those who lie, cheat or use power oppressively because all such vices distort the market. Furthermore, the market was supposed to be an arena in which all could transact as equals — not in terms of outcome but in terms of opportunity. Despite this idea being written into competition legislation, we seem to be a long way from realising Smith's ethical ideal. Technically, the market is "open" and "free". In reality, too many people are denied the basics in education, health, civic infrastructure, etc. to be on a genuinely equal footing. Worse still, the lack of opportunity, for some, has nothing to do with merit — but everything to do with mere accidents of birth. We can and should do better. We should reform markets — and our democratic politics — to realise their original purposes as arenas in which all are fundamentally equal. Australia has always subscribed to the great British tradition of always having allies -- so we never have to fight alone. For example, during WW2 millions of Russians died to help preserve British freedom. But as allies we have to join those allies in their confrontations. So since 1899 (Yes. 1899. Not 1989) Australian troops have joined in just about all of Britain's and America's wars. There are only short intervals where Australian troops are not fighting in a war or confrontation somewhere on the globe. So despite its small population and out of the way location Australia has some of the world's most seasoned troops. No soldier likes war. Wars kill soldiers. But when asked to serve they give of their best. So ANZAC day is NOT a celebration of war or an outburst of militarism. It is a commemoration of the grit and determination of the men who have fallen -- very often men of our own family. We take this one day to honour them and hope that we are worthy of them. 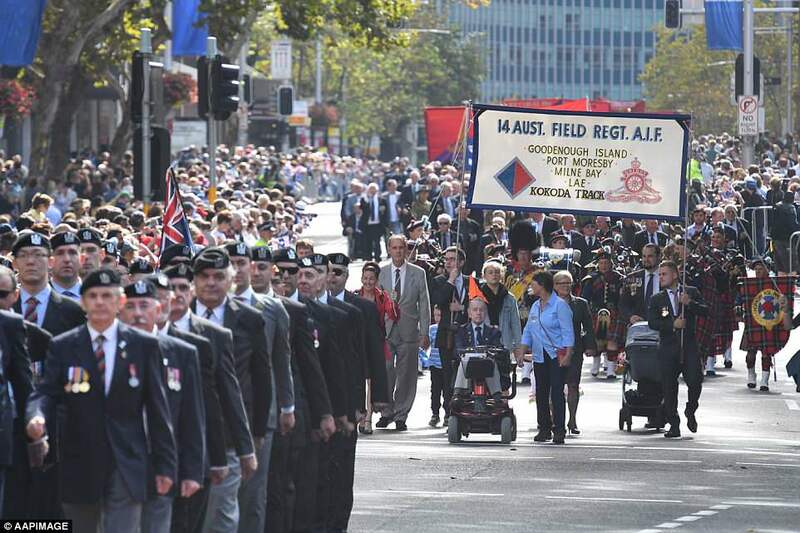 A massive crowd has gathered in Sydney's CBD for this year's Anzac Day parade which, for the first time, is being led by hundreds of female veterans. Rain has not deterred crowds from lining Elizabeth Street to watch more than 16,000 servicemen and women march to commemorate 103 years since troops landed on the Gallipoli peninsula in Turkey. Among those at the head of the parade will be 100-year-old Molly Cummings, who is honouring her many family members who have served for Australia. In 1958, homosexual playwright Alan Seymour wrote the play "The one day of the year. It portrayed Anzac day as nothing more than drunken debauchery. It became something of a hit, so much so that it was on the high school English curriculum when I was there a few years later. The contempt has not worked, however. The celebration of the day has gone from strength to strength with young people stepping up to inclusion. But the contempt rumbles on. Below is what the far-Leftist webzine "New Matilda" has contributed for this year's occasion -- an article which disrespects Anzac day. The curious thing about Leftist attitudes to Anzac day is that the day is actually a celebration of a big military defeat suffered by allied troops. With the assistance of incompetent British generals, the Turks gave the Anzacs a drubbing. Leftists normally love any downfall in their own society so one would think that Leftists would feel somewhat kindly towards Anzac day. But it is not so. NEARLY one year since a controversial Anzac Day Facebook post which sparked a major backlash, Muslim activist Yassmin Abdel-Magied has once again weighed in to the debate. The author and TV host came under fire last April for writing, “Lest. We. Forget (Manus, Nauru, Syria, Palestine ...)”. Despite deleting the post and apologising for being “disrespectful”, the resulting media firestorm and ultimately led to her leaving Australia, which she later compared to an “abusive boyfriend”. “Only seven more days before another unsuspecting Australian gets run out of town for some mild criticism of the diggers,” New Matilda journalist Ben Eltham tweeted on Tuesday. Last week, Ms Abdel-Magied was denied entry to the US where she was scheduled to speak at a New York event titled “No Country for Young Muslim Women”. US immigration officials said she was put on a plane back to the UK because she did not have the correct visa. Earlier this year, Ms Abdel-Magied revealed a racism complaint about her tweets had been dismissed by the Australian Human Rights Commission. She recently made her acting debut in the SBS digital series Homecoming Queens, and will host Hijabistas!, a six-part series on Islamic fashion, airing on ABC iView on May 1. These brainless old hens show vividly that they are just scratching around in the dust and have no clue about their subject. Both Mussolini and Hitler were energetic socialists. Where are Trump's socialist tendencies? It was Obama who tried to do an end-run around Congress with "a pen and a phone". That pen and phone created a whole host of regulations -- which Trump is now busily abolishing. So who is the Fascist again? Once again we have that good ol' Leftist projection: Blaming on others what is true of themselves. Freud would understand. We want to talk about your book. So Fascism: A Warning. 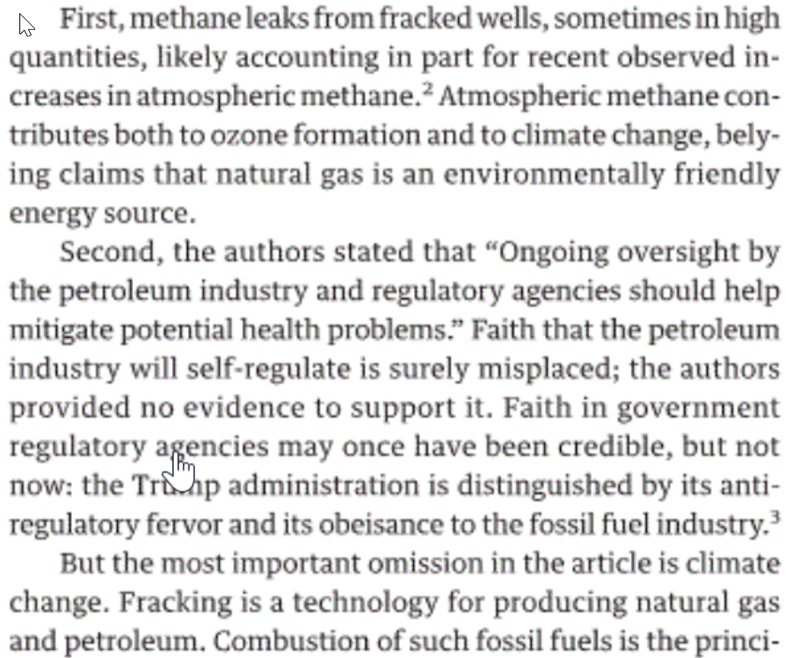 You write, “Some may view this book and its title as alarmist, good.” That's your quote. Coming from you, that should scare a lot of people. Are you actually afraid that America could become a fascist nation? Trump has been president for over a year and the 2018 midterms are still scheduled for November 6, 2018. If you believe the media, the Republicans are headed for an electoral wipe out. So, it’s a little hard to see where the fascism comes in. People have to understand, it's policy. Teddy Kennedy. Remember Chappaquiddick?.... A girl drowns and he abandons her and she drowned and women still voted for Teddy Kennedy. Why? Because he voted for women's rights. That's why. That's the bottom line of it in my opinion. I mean, I don't like either one of them, to tell you the truth, Teddy or Bill. They're both dogs as far as I'm concerned. But I still will vote for Bill Clinton because he votes in my favor. By Renée Graham, who is black and who writes in the Leftist Boston Globe. She is perfectly correct that white fear is an American problem and her essay below gives examples of the bad effects that white fear has on blacks. But in typical leftist style she tells only half the story. She thinks it is sufficient to describe a problem only. She makes no attempt to examine WHY that problem exists. I suppose it would be impossible for her to say so but the problem is created by blacks. The enormous incidence of violent crime among blacks is the cause of the fear. For their own safety, American whites have to be wary of any black they do not know personally. When one third of black males spend some time in jail during their lifetime, the probability that a random black is a criminal is high. So white fear is a black problem. They cause it. I live in Australia and the few Africans we have here are also often very violent. But is that a result of white oppression? Hardly. They came here as refugees. They should be grateful for being given refuge from Africa's wars. Australia has been nothing but good to them. The high incidence of black criminality is a sad fact for blacks who are not criminal. They get judged as likely to do things that they do not intend to do. They are born unlucky. But there are all sorts of people who are born unlucky. They just have to learn to deal with it. The writer below has learned to deal with it. She just resents having to do so. But she should turn her resentment towards the lawless blacks who originate the problem rather than being critical of whites. DRIVING WHILE BLACK. Walking while black. Shopping while black. Selling CDs while black. Listening to music in a car while black. Asking for directions while black. Sitting in Starbucks while black. This is just an academic republication of some claims made in 2016, which were shown at the time to be greatly exaggerated. 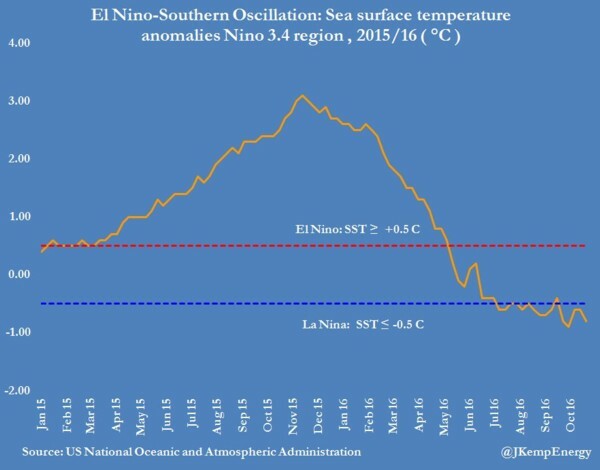 And note below that global sea surface temperatures actually FELL during late 2016. So if there was a big warming event in North Queensland waters at the time it was a LOCAL event, not a global one. So any coral damage was not caused by global warming. "The 2015–16 El Niño suppressed and delayed the monsoon, leading to reduced cloud cover and weakened winds this summer. Additionally, a relatively low number of summer storms occurred over the Reef. These factors led to increased surface heating and reduced mixing, resulting in substantially warmer ocean temperatures around northern Australia from December to March 2016." And note that the BOM places the warming in early 2016, not late 2016. Pesky! Something else that happened in 2016 was a regional sea-level fall --which really is detrimental to coral and could alone explain any damage. And note the announcement from late last year that bleached corals are already recovering nicely. So no fear is warranted. Millions of corals on the Great Barrier Reef were 'cooked' during a scorching summer in the northern region, according to scientists. The underwater heatwave eliminated a huge number of different species of coral during a process which expelled algae after the polyps were stressed. 'When corals bleach from a heatwave, they can either survive and regain their colour slowly as the temperature drops, or they can die. 'Averaged across the whole Great Barrier Reef, we lost 30 per cent of the corals in the nine-month period between March and November 2016,' said Professor Terry Hughes from James Cook University said. Prof Hughes who acts as the Director of the ARC Centre of Excellence for Coral Reef Studies at JCU said his team was very surprised to see a quarter of the corals die in just two to three weeks during the March heatwave. Scientists researched the entire reef by analysing water surveys at various locations along its 2,300-kilometre distance, and combined insight with aerial data and satellite monitoring. Results showed 29 per cent of the 3,863 reefs which make up the world's largest reef system lost 'two-thirds or more of their corals', which dramatically impacts the ability of the reefs to maintain full ecological abilities. 'The Great Barrier Reef is certainly threatened by climate change, but it is not doomed if we deal very quickly with greenhouse gas emissions. 'Our study shows that coral reefs are already shifting radically in response to unprecedented heatwaves,' said Prof Hughes. The team warn that if changes are not made to consider climate change it will have a huge effect on tropical reef ecosystems and, therefore, a detrimental impact on the benefits those environments provide to populations of poor nations. Why on earth did these guys not spring a few bucks to buy a coffee? Nothing more would have happened if they had done that. And they could have agreed to do that at any time during the confrontation. So why did they pointedly refuse? Why were they so obstinate? Repeatedly disobeying a police command is begging for trouble. And that particular Philadelphia Starbucks has apparently had a lot of trouble with people just "hanging out" there without buying anything. Hence their strict policy of promptly ordering such people out. You buy first and then you sit down. So the policy was there for good reason and the manager -- who is a strong Leftist, not some racist bigot -- was just doing what she was supposed to do in calling them out. There are claims that some whites were allowed to be seated without ordering but there appears to have been no videos or other evidence of that at the Philadelphia venue. It is however true that many Starbucks venues are more relaxed about that. This Philadelphia venue was different because of past problems. In any case two wrongs don't make a right and it is clear that the black duo were deliberately un-co-operative. If there were whites there who were seated without ordering they could well have been regular customers -- and regular customers everywhere are given more latitude in various ways. They can be given more time to order, for instance. Different treatment can come from many other things than race. Assuming racism is egregious. So what is the big one-day break at Starbucks going to tell Starbucks managers? Nobody knows that in detail yet but it has been claimed that the training will ensure that blacks are never again treated the way the two adventurers described below were treated. So in future blacks will be allowed to sit around all they like without buying, one imagines. That's corporate suicide of course. Starbucks provides a nice environment so it is easy to see blacks taking over their nearest Starbucks as their new hangout. So all Starbucks venues will be so full of blacks that few whites will go there. So no revenue for the business and it will have to close down. Leftist idiocy at work. The two black men who were arrested at a Starbucks in downtown Philadelphia last week and accused of trespassing say they were there for a business meeting that they had hoped would change their lives. Rashon Nelson and Donte Robinson came forward this morning on ABC News' "Good Morning America" to publicly share their story for the first time. The 23-year-old entrepreneurs and longtime friends said they were waiting to meet a potential business partner at the Starbucks in Philadelphia's Rittenhouse Square neighborhood April 12 when a barista asked them whether they wanted to order anything. They declined and told her they were just there for a quick meeting, they said. Nelson said he immediately asked to use the restroom when they walked in but was informed it was for paying customers only. So the pair sat at a table and waited for the person with whom they were scheduled to meet. They didn't think anything of it until the officers approached their table and told them they needed to leave, they said. "It was just, 'Get out, you have to leave. You're not buying anything, so you shouldn't be here,'" Nelson told "GMA." They said they calmly told the officers they were there for a meeting, and Robinson said he even called the person for whom they were waiting. But the officers repeatedly insisted that they leave, they said. "It's a real estate meeting. We've been working on this for months," Robinson said. "We're days away from changing our whole entire situation, our lives, and you about to sit here telling me I can't do that? You're not doing that." The officers ultimately handcuffed Nelson and Robinson, and escorted them out of the Starbucks and into a squad car before taking them to the police station. Both men were later freed and the charges they were facing -- trespassing and disturbance -- were dropped that night. An onlooker, Melissa DePino, captured the incident on video, which has been viewed more than 10 million times online and prompted protests outside the coffee giant's location on Spruce Street. DePino, a 50-year-old writer and mother of two, told ABC News a Starbucks barista shouted from behind the counter at the two men to make a purchase or leave. "They were sitting quietly minding their own business, and waiting for their friend to come," she said in an interview Sunday. The Philadelphia Police Department did not immediately respond to ABC News' request for comment this morning. But Philadelphia Police Commissioner Richard Ross Jr. [who is black] said in a video testimonial released Saturday that his officers "did absolutely nothing wrong." "I can tell you candidly these officers did a service they were called to do," Ross said. The police commissioner also accused the men of being disrespectful to the officers and said that both were given several chances to leave, but they refused. "On three different occasions the officers asked the two males politely to leave the location because they were being asked to leave by employees because they were trespassing," he said. "Instead the males continued to refuse as they had told the employees and they told the officers they were not leaving." It's anything but ridiculous. Going to a private school makes you one of Britain's ruling class. It's a warrant that you have worked hard and had a good education. If you went to a government school you could be a know-nothing nobody. The 7% of the population who went to private schools in Britain basically run everything. They even dominate Britain's Olympic team. Britain is lucky to have them. Britain would be a real mess if it were run by the know-nothing, never-stretched graduates of the State schools. And to be even more politically incorrect, private school graduates are also an intellectual elite. So much so that doubts have arisen over whether the later-life success of private school graduates is due to their schooling or their higher IQs. There are two prerequisites for getting into a private school. Your parents have to be able to afford some pretty steep fees and you have to pass the Common Entrance Examination (CE), which is little more than an IQ test. And the money requirement is also intellectually selective. Going back at least as far as Terman & Oden in the 1920s it has been known that high IQ people tend to get rich. Herrnstein & Murray wrote a well-known book a couple of decades ago which also showed that. Not all rich people are smart but most are. The dim aristocrat is a well-known figure in British life but they tend to lose their money -- so once again the relationshp between money and IQ is established. For the sake of balance, I should add a few qualifying notes to what I have said above. There are quite a lot of smart working class kids who will do as well as private school kids if they are offered schooling similar to what private schools students get. That happens in Britain's government-funded Grammar schools. And Grammar schools too require the student to pass an admission test -- the 11 plus -- which is also largely an IQ test. And many Grammar School graduates have gone on to do well both economically and in other ways. THE world’s first dating app for the privately-educated has launched — but its founder insists it has nothing to do with snobbery or social division. The app, Toffee, launched earlier this week and is the brainchild of Londoner Lydia Davis. It is strictly off-limits to anyone who attended a state school thanks to a “hybrid checking process” that uses “automated social media cross checks” and a “manual screening process” to make sure the great unwashed don’t slip through the cracks. But despite restricting membership to those from privileged backgrounds only, Ms Davis, 36, told The Mirror it was designed purely to help people find their soulmates. “Toffee is just about helping people meet and fall in love. It’s not supposed to be snobby or divisive. I just want to help people do their thing,” she said. “It’s just another niche dating app — there are lots of other dating apps for normal people. She told the publication she expected the app to be controversial. “Navigating the dating scene is really difficult, and it’s proven that people want to meet like-minded people who share the same interests and values,” Ms Davis said. But despite Ms Davis’ assurances, Toffee has been slammed as “elitist”, “classist” and “totally ridiculous” online, with one reviewer even labelling it a “classist hate crime”. Ms Davis, a professional matchmaker, is now in a relationship with an unnamed man from a “similar background” who was also privately educated — but she insisted she would have been open to dating someone from any background. She also told The Mirror she would be happy if her potential future children married a commoner. “I’m a total romantic and finding someone to fall in love with is so special. Everyone’s preferences are different and that’s what makes it exciting,” Ms Davis said. The Western allies have no investigative journalists on the ground in Syria while Russia does have people on the ground there, so this could be authoritative. Canadian climate skeptic Stephen McIntyre reports: I've collated, inspected, taken earliest observed time of #Douma hospital photos and videos. All come from two jihadists; nearly all from a single room during probably less than half hour with no casualties and no more than 30 individuals (mostly children/babies). Jihadi flash mob? Moscow has “irrefutable proof” that the alleged chemical incident in Syria’s Douma was a “false-flag attack,” orchestrated by UK security services with support from the United States, the Russian envoy to the OPCW [Organisation for the Prohibition of Chemical Weapons] said. “Things unfolded according to the pre-written scenario prepared by Washington. There’s no doubt, the Americans play ‘first fiddle’ in all of this,” Shulgin said, adding that “attack” was staged by “pseudo-humanitarian NGOs,” [White Helmets] which are under the patronage of the Syrian government’s foreign adversaries. Russian radiological, chemical and biological-warfare units carefully examined the scene of the alleged attack mentioned in the NGOs’ reports immediately after the liberation of Douma from the militant groups, Shulgin said. He then drew attention to the fact that the Russian military specialists found “not a single piece of evidence” substantiating the claims about the alleged chemical attack. Instead, they found local witnesses who said that the video allegedly showing the aftermath of the perceived attack was in fact staged. The timing of the attack was also bewildering, the Russian diplomat said, adding that the Syrian government had absolutely no reason to gas its own citizens when the city was already almost liberated from the militants. Under such circumstances, the accusations against Damascus look “absurd,” he said. “The senselessness of these claims is striking,” Shulgin added, referring to the statements of Western leaders. The US and its allies are not interested in a real investigation into the alleged Douma attack, the Russian envoy to the OPCW said. Washington, London and Paris immediately pinned the blame for the incident on Damascus, and launched strikes against Syrian military and civilian facilities without waiting for the OPCW team even to start its investigation on the ground. The Skripal affair has always smelled. The British government rushed to blame Russia (sorry for the pun) long before it had any evidence of Russian involvement in the poisoning. And initially the British chemical weapons establishment at Porton Down said it could not tell where the chemical agent came from. The alleged Novichok agent is an old one and there are quite a few derivatives of it that are used in a number of countries -- so certainty about blame was always going to be difficult. Eventually, presumably under political pressure, Porton Down changed its mind and said the stuff definitely came from Russia. I was relating all this to a friend who had been out of contact with the news for a couple of months. I noted that the alleged Novichok had not in fact killed anyone and all those affected were making a good recovery. He guffawed at that, saying: "If Russia had done it they would be dead". That is my conclusion too. Moscow believes that the entire Skripal case lacks transparency and that the UK is in fact not interested in an independent inquiry. "We get the impression that the British government is deliberately pursuing the policy of destroying all possible evidence, classifying all remaining materials and making a transparent investigation impossible," the Russian ambassador to the UK, Alexander Yakovenko, said during a press conference on Friday. Cambridge’s mayor called a video of a police officer repeatedly striking a black Harvard University student while he was pinned to the ground by fellow officers “disturbing” and promised that the findings of an internal probe would be made public. “Cambridge affirms that Black Lives Matter, but it must be true in practice as well,” Mayor Marc C. McGovern said in a statement Sunday morning. Later in the day, Cambridge police released a seven-minute video that showed the encounter between officers and Selorm Ohene, 21, of Cambridge, on Friday night. Three Cambridge officers and an MBTA Transit Police officer pinned Ohene to the ground while arresting him near the corner of Massachusetts Avenue and Waterhouse Street, according to a police report. Ohene was naked and a woman who appeared to be Ohene’s acquaintance told officers he may have been on drugs, the report stated. In the video, shot by a bystander and released by police, Ohene is standing on the median of Massachusetts Avenue, surrounded by three officers, then turns and approaches one of them. Cambridge officers and a transit officer grabbed the legs of a 21-year-old Harvard student, who was naked on Massachusetts Avenue, police said. An officer grabs Ohene’s legs from behind, knocking him forward into another officer. The three men fall to the pavement. The third officer helps pin Ohene to the ground. Ohene can be heard on the video yelling, “Help me, Jesus! Help me, Jesus!” as he struggles with the officers. A fourth officer helps restrain Ohene, and one of the officers can be seen striking Ohene once, according to video released by police. In a separate video of the incident, filmed from the opposite side of the street and obtained by the Globe Saturday night, an officer can be seen striking Ohene quickly four times while another officer grips the first officer’s belt. Ohene was charged with indecent exposure, disorderly conduct, assault, resisting arrest, and assault and battery on ambulance personnel, police said. An arraignment date hasn’t been scheduled, according to a spokeswoman for the Middlesex district attorney’s office. The mayor viewed a video clip of Ohene’s arrest that was posted on social media, a spokesman for the mayor said. City Councilor Sumbul Siddiqui also called the video disturbing and questioned whether punching is an acceptable use of force by officers. “I think when you see the video and you see the officer punch the individual after he’s subdued, you think, ‘What kind of protocol was that?’ ” Siddiqui said during a telephone interview Sunday. Police said they told Ohene they were “only there to help him and were concerned for his safety,” according to the police report. Police said Ohene became “aggressive, hostile, and intimidating” and approached officers with clenched fists, prompting them to take him to the ground. During the arrest, an officer struck Ohene five times in the torso, according to the police report. Jeremy Warnick, a spokesman for Cambridge police, said in an e-mail Sunday that the department is committed to a “thorough and complete” review. While Ohene was being transported to a local hospital for observation, he spat blood and saliva at an EMT, police said in a separate statement Saturday. Two Cambridge officers were also treated for minor injuries and unprotected exposure to bodily fluids, police said. Ohene’s arrest occurred in view of about 30 people, according to police. Daunasia Yancey, a Boston-based community activist in the Black Lives Matter movement, said in a phone interview that police generally use a greater level of force against African-Americans than against whites. The Cambridge Police Department’s use of force policy, last updated in 2011, allows officers to “use only that degree of force which is reasonably necessary” to make an arrest, place someone in protective custody, bring an incident under control, or protect the lives of themselves or others. Churchill once described the Soviet Union as "a riddle wrapped in a mystery inside an enigma". The same could be said of Syria at the moment. Ascertaining what is actually going on there is very difficult and dogged with disinformation from several sources. A major reason for that is the sheer danger of being there at all. So the Western media seem to have no-one on the ground there at all. They are not going to risk the precious Leftist skins of their journalists just for the sake of the truth. They rely on feeds from Syria which are all likely to be compromised. And that is where the White Helmets come in. They masquerade as peace and humanitarian workers and have been adopted by the West. It appears however that they are all old El Qaeda supporters. Since nobody else was claiming to be peace workers, the Western authorities have done a Nelson and turned a blind eye to the dubious origins of the White Helmets. With Osama bin Laden dead and ISIS stealing their thunder, El Qaeda is a shadow of its former self but it has not gone away. And it is the White Helmets who are the sources principally relied on by the Western media for their news feeds out of Syria. So it is entirely likely that Russia is right in claiming that the chemical weapon attacks in Syria were in fact a put-up job by the White Helmets. Who was in a position to question what the White Helmets said? There seems little doubt that two chemical attacks did happen. Nobody is questioning that. The big issue is "Who dun it?". Who was responsible for it? You can work out the answer to that by looking at what nearly happened if Mr Trump had fallen for it. The White Helmets very nearly started a war between the USA and Russia! What rejoicing throughout Syria that would have generated! So I think all logic is on the side of the Russian account. And Trump was initially taken in. But wise counsel obviously got to him and pointed out the difficulty of pinning responsibility for the deaths on anyone. Trump then did a big backtrack and said that an American strike would happen "maybe never". That was his response to the difficulty of assigning blame. He was prepared to do nothing in the circumstances. Then President Macron of France waded into the issue and strongly suggested that France would strike at Syria. Macron claimed to have complete proof that Assad was responsible. On what grounds? Much flimsier grounds than he claimed. I have read Macron's dossier and it is all "highly probable" claims -- guesswork in other words. But what about the target? Targeting any of the Russian/Syrian facilities in Syria would be just what El Qaeda wanted -- so the targets had to be non-military. So alleged centers of chemical weapon production and design were the perfect target. They would be good targets even if no gas attacks had occurred. Chemical weapons are just always BAD! No excuses needed for attacking them. That Russia was not directly involved with those targets was shown by the fact that all of the cruise missiles appear to have gotten through and no planes were lost. Cruise missiles are SLOW -- about the same speed as a Boeing airliner -- and the feared Russian S-400 anti-aircraft battery could have slaughtered them. Obvious conclusion: The S-400 was not deployed to protect those targets. The S-400 appears to have been deployed to protect only the joint Russian/Syrian airbase near Latakia. So the Syrian and Russian armed forces are intact and able to operate as before despite all the huffing and puffing about how evil they are. Neither Mr Assad nor Mr Putin are likely to be too put out. Conclusion: The raid got big kudos for Trump from almost everybody -- at minimal cost and at only symbolic damage to Russia. Mr Trump is a statesman for the ages. He navigated a brilliant path though a very dangerous challenge. Frank Chung comments on a race-obsessed public servant. If discrimination can be proved that is one thing but assuming it from statistics is very different. Why is it different? Because different groups have different priorities. Indians, for instance gravitate to small businesses where income can be hidden. There's a tradition of that in India. So, in case you haven't noticed, we have a LOT of Indian taxi-drivers -- a mostly cash business. I was a taxi-driver myself once so I know a bit about it. And there are Indian restaurants all over as well. So does the over-representation of Indians in taxi-driving prove discrimination against white and East Asian taxi-drivers? It's all a nonsense. East Asians for instance have a strong bent towards the professions. So you won't often find bright East Asians in big business. They are more likely to be the big businessman's doctor or medical specialist. Is that discrimination we have to worry about? AUSTRALIA’S Race Discrimination Commissioner is being paid $340,000 a year by taxpayers to peddle racist pseudoscience. In fact, Dr Tim Soutphommasane’s title could be more accurately described as “Commissioner for Racist Discrimination”, given his obsession with skin colour and apparent distaste for anyone from an “Anglo-Celtic or European background”. Or in other words, white people. In a risible piece of research released by the Human Rights Commission and the University of Sydney Business School on Tuesday, the good doctor lamented the fact that only eight executives in ASX 200 companies have a “non-European background”. Similarly, of the 30 members of the Federal Ministry, there is “no one who has a non-European background” and only “one who has an indigenous background”. Amusingly, that means Aged Care Minister Ken Wyatt — who is indigenous with part English, Irish and Indian heritage — is at once part of the problem and part of the solution, according to Dr Soutphommasane. He goes on to rattle off similar numbers for the state and federal public service and university administrations. “All up there are 11 of the 372 CEOs and equivalents who have a non-European or indigenous background,” he said. Like a modern-day Charles Darwin on the HMS Beagle, Dr Soutphommasane — magnifying glass and colour wheel in hand — has taken a meticulous taxonomic study on his voyage through corporate Australia. “Of those who occupy 2490 of the most senior posts in Australia, 75.9 per cent have an Anglo-Celtic background, 19 per cent have a European background, 4.7 per cent have a non-European background and 0.4 per cent have an indigenous background,” he said. “Described another way, about 95 per cent of senior leaders in Australia have an Anglo-Celtic or European background. Although those who have non-European and indigenous backgrounds make up an estimated 24 per cent of the Australian population, such backgrounds account for only 5 per cent of senior leaders. Naturally, these findings have led Dr Soutphommasane to call for “cultural targets and quotas across the business, academic and political worlds”, according to Fairfax. There are three pretty obvious problems with this. Firstly, Dr Soutphommasane seems to be talking out both sides of his mouth. He says he wants “cultural targets”, but then admits his real problem is with “European and Anglo-Celtic” peoples. How similar are the cultures of Norway and Greece, or Ukraine and Portugal? Secondly, Dr Soutphommasane does not seem to understand the meaning of “egalitarian”, which the Oxford Dictionary defines as “believing in or based on the principle that all people are equal and deserve equal rights and opportunities”. Equality of opportunity is not the same thing as equality of outcome. As US economist Milton Friedman said, a society that “puts equality of outcome ahead of freedom will end up with neither equality nor freedom”. “The use of force to achieve equality will destroy freedom, and the force, introduced for good purposes, will end up in the hands of people who use it to promote their own interests,” he said. Which leads to the third point. Proponents of race and gender quotas like Dr Soutphommasane believe equality of opportunity is impossible due to the pseudoscience of “unconscious bias” — a kind of modern-day phrenology which claims everyone is incredibly racist and sexist even if they don’t think they are. Unconscious bias, also called implicit bias, first emerged in 1998 with the rollout of something called the implicit association test and immediately spread like wildfire through western institutions, spawning a multimillion-dollar industry of consultants who, Clockwork Orange style, reprogram the racism out of workers. It seems to be one of Dr Soutphommasane’s most deeply held beliefs. In 2014, he blamed unconscious bias for the “bamboo ceiling”, recounting a traumatic incident in which a friend asked whether he worked “in the finance or IT section”. Unfortunately, the scientific basis of the IAT — and so the entire concept of unconscious bias and the associated obsession with mandatory quotas — has effectively collapsed. Even the creators of the IAT, Harvard social psychologists Anthony Greenwald and Mahzarin Banaji, have distanced themselves from its current usage, admitting that it does not predict “biased behaviour”. In 2015, they wrote that the problems with the test make it “problematic to use to classify persons as likely to engage in discrimination”. As The Wall Street Journal put it last year, “the politics of the IAT had leapfrogged the science behind it”. And yet people like Dr Soutphommasane soldier on undeterred, even in the face of mounting evidence. It was Dr Soutphommasane, for example, who hailed the Victorian government’s “blind recruiting” trial in 2016, in which applicants’ resumes are de-identified of name, gender, age and location. But hilariously, a study last year by the behavioural economics team in the Prime Minister’s department, known as the “nudge unit”, actually found blind recruiting has the opposite intended effect. According to the study, led by Harvard professor Michael Hiscox, Australian Public Service recruiters “generally discriminated in favour of female and minority candidates”. There may be many reasons for the lack of one-to-one population representation at the very highest levels of business and politics — but for the Race Discrimination Commissioner, when you’re a hammer, everything looks like a nail. For someone who is paid $340,000 a year to come up with this dross, it’s not surprising the concept of meritocracy is a foreign one. Or is that being racist? First was Leonid Kharitonov singing "Volga Boatman" with the Red Army Choir. The song is actually a type of shanty. It is not the song of sailors, however. It is a song of men on a towpath dragging boats along the Volga, presumably upstream. It is a song of endurance. As such the words are simple to the point of meaninglessness but the tune is compelling. And when you see Kharitonov -- a most manly looking man -- you get a feeling for Russian power. Russians are enduring. They have to be -- with both a demanding climate and a demanding government. I admire them and have a feeling for what life must be like in Russia. When you listen to Kharitinov, however, you begin to understand the war on the Eastern front. The Germans were military specialists and killed 4 Russians for every one of theirs that fell. But the Russians just did not give in -- so indomitability triumphed over military brilliance. Then I watched an excellent version of The Battle Hymn of the Republic, played by an American army band. It was a very sophisticated performance in my language by people of my ethnicity referring to my religious heritage but I was nevertheless a little uncomfortable with it. I was disturbed by the women in the band, including the very capable woman conductor. In my old-fashioned military mind, we fight to protect our women, not put them in the army. A nation that puts its mothers in danger has lost the plot and endangered its future in my view. Then I watched a very well done version of Hatikva, the national anthem of Israel. I am hugely pro-Israel so that moved me. When they sing about Jerusalem that is not just their religious capital but it is ours too. Their Bible is our Bible too. So we too have learnt to yearn for Zion. Then there was a rendition of the simple but beloved Russian folk song: Katyusha. With a lively little Russian girl (Valeria Kurnushkina) drawn in to sing her part. The Choir with their big hats sang happily along with her. She was a charmer. Thank God I was born an Englishman!! For starters I hardly ever cry, but this almost brought a tear to my eye. Were so proud of you from across the pond, sending lots of love and wishes of luck on your new journey of independence. Amazing! Wish i was british. In germany it's a crime to love your own country. Almost cried when I heard Jerusalem today and I'm not even British. I truly wish a bright future and only the best for England and for the whole UK. God save the Queen from sweden . If you happen to be a free citizen anywhere on this planet, believe it or not, you are indebted to England. By the way i am not British and not among the fortunate ones. Being born English is like winning the first prize in the lottery of life. The article below, by Frumkin & Patz, appeared in the latest issue of JAMA. the authors seem to be in more Greenie organizations than you can poke a stick at so a low intellectual level has to be expected in their writings. And that expection is fulfilled. They regurgitate some common Warmist talking points but overlook a lot of basics. And their claim that warming is dangerous to your health is a deliberate lie. Medical men of all people should know that winter is the season for dying, not summer. So it follows that warming is actually GOOD for your health overall. And they end up by showing what extremists they are. They want all fossil fuels to be left in the grounds henceforth. Why these brainless fanatics were given a platform in a respected medical journal rather escapes me. The Leftist morons below have just rediscovered IQ but don't know it. IQ is a huge influence on educational success and is strongly inherited genetically. So of course high achieving people will tend to have high achieving children and grandchildren. The various "explanations" put forward below for the relationship are therefore supererogatory and pointless, though they may have some marginal explanatory power. A student's year 3 NAPLAN scores can be significantly impacted by their grandparents' level of education, with new evidence showing that educational disadvantage is multi-generational. Having four family members with university degrees can place a student 1.4 years ahead of their peers who have no family members with high attainment by year 3. The study, which looked at the NAPLAN numeracy and reading scores and family background of 5107 infants aged between three and 19 months and 4983 children aged between four and five in 2004 over a decade, found that "grandparent educational attainment is associated with grandchild test scores independent of parent education" where both grandparents have high attainment. Lead author of the study, Kirsten Hancock, a senior research fellow at the Telethon Kids Institute, said the findings have implications for both schools and families. "It has implications for the current generation of parents, knowing that what they're doing now not only affects their own children but also generations down the line," Ms Hancock said. "Not everyone's going to go to university but valuing education and supporting their kids is really important." Ms Hancock said the study also "helps to show what schools are dealing with". "There is a wide range of backgrounds that kids come to school with and it's difficult for schools to overcome that," Ms Hancock said. "Something like 20 per cent of a child's waking hours are spent at school each year, so what happens there has to be pretty good to offset all these other things." The study found that grandparents can contribute to their grandchildren's education directly through financial or other support, or by promoting the value of education within the family and providing access to useful networks. It also found that grandparents' ability to contribute differs by country, and that Australian grandparents have plenty of opportunities to provide a financial boost by helping with school fees and costs or supporting extracurricular activities. "Enrolment in private education is also substantially higher in Australia than in other countries, with almost 40 per cent of students attending non-government schools compared with an OECD average of 15 per cent," the paper states. "Grandparents may also help parents to secure housing in the catchment areas of desirable public schools, either by providing financial support, or by providing free childcare that enable parents to generate more income and have greater choice with respect to housing." The advantage provided by well-educated grandparents and parents tends to be concentrated in some families, with people with high educational attainment likely to partner with people who have similar levels of attainment. "Such a concentration of human capital may contribute further to educational inequalities in subsequent generations," the paper states. Ms Hancock said: "We haven't had the data to prove this in Australia before now. "For children who come from these strong educational backgrounds, they're doing pretty well. But it's difficult for schools to overcome and they need significant resources." The latest NAPLAN results show that students across all year levels are far more likely to achieve scores in the top bands for all five NAPLAN domains if one parent holds a bachelor degree or higher. This was especially evident in the numeracy test where 33.4 per cent of year 3 students with parents who had a bachelor degree or higher achieved a band 6 or above, compared to 13.2 per cent of those with parents who had a diploma and 2.7 per cent of students whose parents only reached year 11. Once again, all Summers has on Trump is his words. He convicts Trump of Fascism solely because Trump has critizied one particular business - Amazon. For some unknown reason, a President is not allowed to criticise a business, apparently. No First Amendment protections for Trump's speech? Summers is an economist so he should know that a perfectly democratic country -- Britain -- not only criticized various businesses but nationalized them and brought them under government control in the '40s and '50s. Such actions clearly go a long way beyond criticizing the businesses concerned. Mrs Thatcher reversed that folly but both the nationalization and the de-nationalization were accomplished in a perfectly democratic way. Former Treasury Secretary Larry Summers believes President Trump's recent attacks on Amazon are un-American. "Going on jihads with the power of the federal government against companies whose CEOs' private activity he doesn't find congenial — that's not the stuff of democracy," Summers said in an interview Thursday on CNN's "New Day. "That's the stuff of much more totalitarian countries."